Have only been using this product for a short amount of time but it has quickly become one of my favourite mascaras to use! 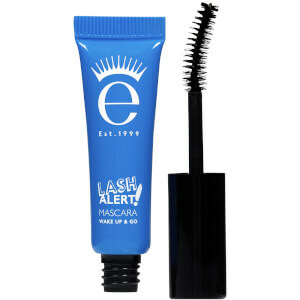 It gives my eyelashes great length, a lot of volume and no clumps (i HATE clumpy mascara)!!! It doesn't leave any smudges under my eyes which I have found in the past were other mascara brands! 10/10 - will find it hard to find a better mascara! I really like this mascara because it give my lashes a very beautiful, voluminous shape with super black colour but at the same time feels natural. This is a good mascara but just not as amazing as I was expecting. I've been using this mascara for a couple of months and it has quickly become one of my favourite mascaras I've tried. I like how the liquid doesn't dry out and you can squeeze every bit out. It lasts all day without flaking off. I bought this as my fat mascara ran out and after lash extensions, I needed a mascara to make my eyes look good again. Really disappointed with this one - it just clumped. Been used three times and I’ve given up and bought a different one. I’ll go back to using the fat mascara I think. 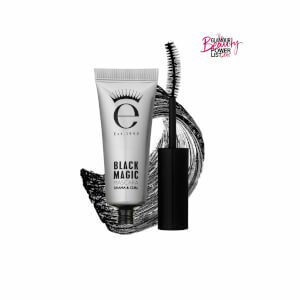 I've used Eyeko mascaras in the past, but never Black Magic. This has included a bespoke mascara, which I loved. However when I wanted to purchase another I found the system of ordering one had changed, and I didn't want to risk buying one and it not being as good as the first. I hence spoke to one of the experts in the chatroom feature of the site, explaining what I wanted, and they recommended this. I was sceptical, but was wrong to be so. This mascara is perfect! Long, charcoal black, false-effect lashes that hold a defined curl all day long, even in the pouring rain. I don't think I'll be buying another mascara ever again. Not only did my eyelashes look amazing, I attended a cross fit class and forgot to take off my daytime black magic mascara (I usually use the skinny mascara or the sport for my spin classes, which are both equally as awesome!) anyway, not a smudge, not a flake, not a panda eye... and I can sweat with the best of them! 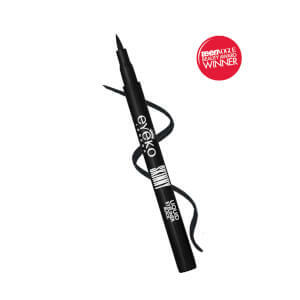 Amazing products from eyeko - I have even moved to Dubai and will only use these products. Fantastic next day delivery! This is the best mascara on the market, I’ve tried hundreds, at all price points, and this is my all time favourite, it seperates my lashes and lengthens them beautifully, I love it! !